FINALLY my vegan brethren, I dost proclaim that VEGAN PRONUT VICTORY IS MINE!!!!!! 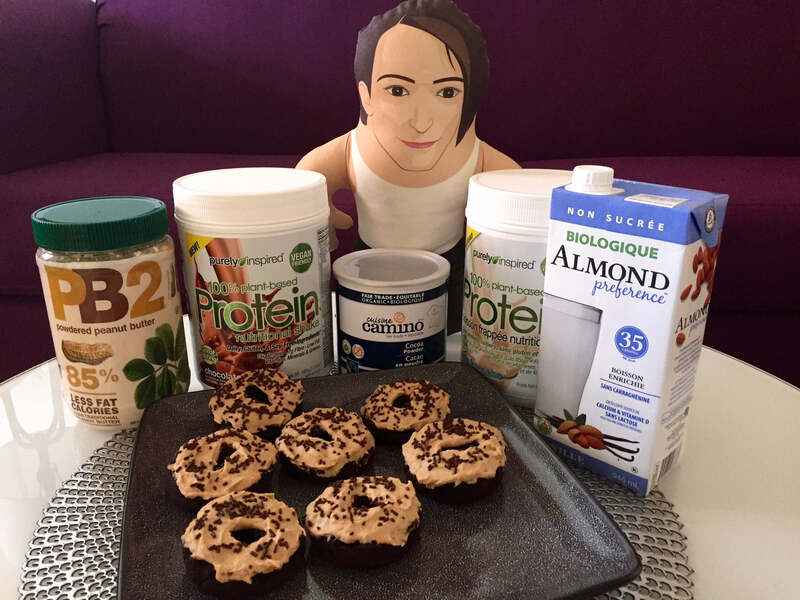 Yes, my fellow plantians, I have conquered my arduous quest to create a vegan protein doughnut that is both rich and fudgey in taste and texture yet low in sugar and calories and does not crumble within mine calloused vegan bodybuilder hands. Okay and seriously, is it spelled “donut” or “doughnut?” The journalism graduate nerd inside of me is hell-bent on “doughnut” but everywhere online I’m seeing “donut” hence my usage of both terms in this post. Mix all pronut ingredients together in a medium-sized bowl except for water. Depending how thick the dough is, keep adding a tiny bit of water until dough is thick but smooth enough that you can easily pour it into the pan. 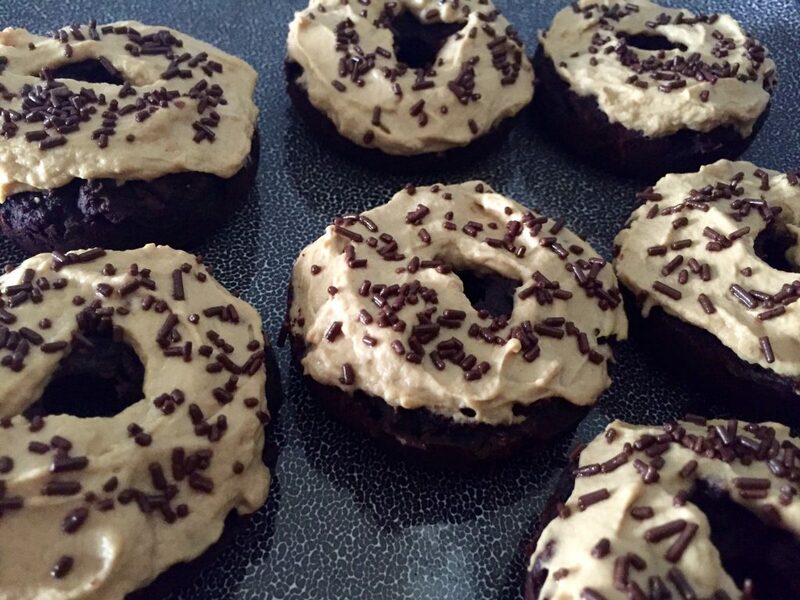 Bake donuts for about 10 – 15 minutes then set aside and allow to cool before frosting ’em. Hahaha! There were even less after I came over. They were frigging DELICIOUS!!! Haha I knew someone was going to ask for the macros! :) For one doughnut and no frosting it’s 160 calories, 7 grams of fat, 21 grams of carbs, 6 grams of protein and only 1 gram of sugar. Awww love it!!! That’s so awesome to hear that both you AND your kids are fans. I’m always hesitant to bake with chickpea flour because the taste is so strong but hook me up with your cake recipe and I’ll test it out! That frosting is such a great base! I switched the PB2 for cacao powder, the sweetener for fine coconut sugar, and put it on a regular cake (well, mostly chickpea flour instead of cake flour) and it’s so deliciously fudgy, and the fluffy texture is amazing! Thanks, Sam Made the donuts during the week. Kids loved them, too!